Mya is a teenager from Burma who needs $913 to fund gynecological surgery. Mya is a 15-year-old girl from Burma. She lives with her mother, sister and great-grandmother in Chaung Thaung Village, Kawkareik Twoship, Karen State. Mya has been diagnosed with an ovarian tumor. She has been advised to undergo an oophorectomy, a procedure in which surgeons will remove her ovaries. Fortunately, Mya is scheduled to undergo her oophorectomy on March 22. 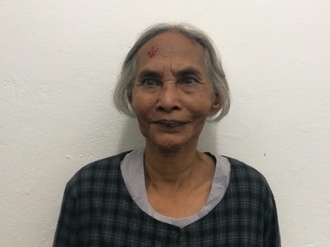 Our medical partner, Burma Children Medical Fund, is requesting $913 to cover the total cost of her procedure and care. Mya's case was submitted by Bue Wah Say at Burma Children Medical Fund in Burma. Mya was submitted by Bue Wah Say, Project Officer at Burma Children Medical Fund, our medical partner in Burma. Mya was scheduled to receive treatment at Mae Sot General Hospital. Medical partners often provide care to patients accepted by Watsi before those patients are fully funded, operating under the guarantee that the cost of care will be paid for by donors. Mya's profile was published to start raising funds. Mya is currently raising funds for her treatment. Awaiting Mya's treatment update from Burma Children Medical Fund. Patients may experience heavy menstrual bleeding, pelvic pressure or pain, urinary and bowel dysfunction, backache, or leg pains. Patients may experience intermittent pain in the abdomen and spotting. If the pain becomes debilitating and chronic, patients may be unable to participate in daily life. It may be difficult for women to care for their families, complete household tasks, and work. Because of the sensitive nature of gynecological conditions, patients may delay seeking care. Many patients do not have the means to travel or pay for surgery or are not able to take time away from their family and work to seek treatment. The patient undergoes blood testing and an ultrasound scan to confirm the diagnosis. If the patient does not have any other medical conditions, surgery can be performed quickly. If the patient has another health condition, such as high blood pressure or diabetes, its symptoms must be managed before surgery. A patient usually spends about 4-5 days in the hospital. After the surgery, the patient will no longer experience pain and will be able to resume normal daily activities. Pain, fatigue, menstruation abnormalities, and urinary dysfunction will be alleviated. Potential side effects include excessive blood loss, formation of scar tissue, pregnancy or childbirth complications, or the spread of a cancerous tumor. Although this type of treatment is available in most of Burma, patients cannot access care because of the high cost of surgery. The alternative is a total abdominal hysterectomy (TAH). If the mass or cyst is very big, doctors will recommend a TAH. Although patients who have undergone a TAH cannot get pregnant, this procedure can save the life of the patient. Khoeun is a 62-year-old bike mechanic from Cambodia. He has six children and three grandchildren, and he enjoys listening to the radio in his free time. Five years ago, Khoeun developed a cataract in each eye, causing him blurry vision. He has difficulty seeing things clearly, recognizing faces, and going anywhere outside. When Khoeun learned about our medical partner, Children's Surgical Centre, he traveled for one hour seeking treatment. On April 9, doctors will perform a phacoemulsification surgery and an intraocular lens implant in each eye. After recovery, he will be able to see clearly. Now, he needs help to fund this $398 procedure. He says, "I hope that after my surgery I will feel better and be able to see clearly so I can help my family and go back to work." Ly is a 53-year-old rice farmer from Cambodia. He has five grandchildren, and enjoys listening to music and listening to the monks pray on the radio. Two months ago, Ly developed a cataract in his right eye, causing him photophobia, cloudiness, and blurry vision. He has difficulty seeing things clearly, recognizing faces, and going anywhere outside. When Ly learned about our medical partner, Children's Surgical Centre, he traveled for three and a half hours seeking treatment. On April 23, doctors will perform a phacoemulsification surgery and an intraocular lens implant in his right eye. After recovery, he will be able to see clearly. Now, he needs help to fund this $211 procedure. 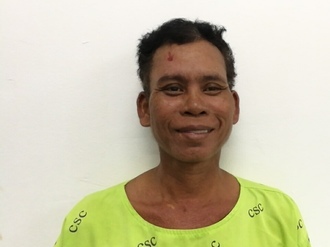 His wife says, "I hope that my husband will be able to see more clearly after his operation, and that he will be able to return to his work on the rice farm."